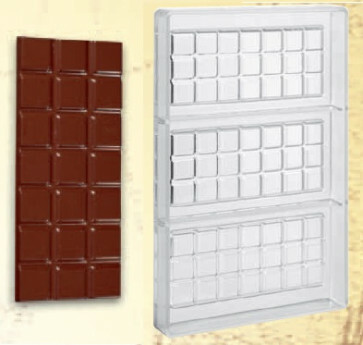 Polycarbonate mould for making chocolate tablets weighing 70 grams. Tablet size 146 x 61 mm. Height 7 mm. Mold dimensions 175x275 mm. Height 24 mm..